The purpose of Divine Mercy For America is to radically increase awareness of and devotion to Jesus. 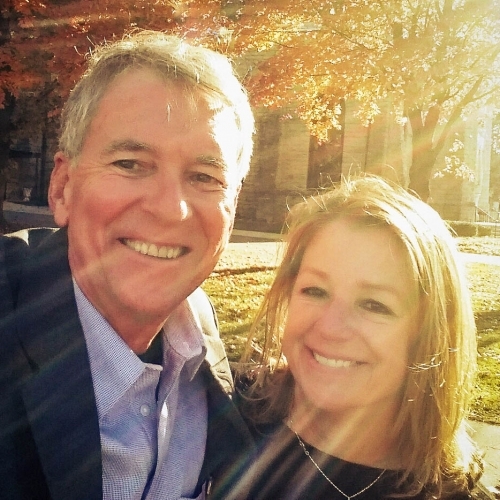 We are Dave and Joan Maroney, initiators and campaign directors of Divine Mercy for America. Since 1999 we have dedicated our lives to helping Catholic parishes and schools learn about, live and spread The Divine Mercy message and devotion as Mother of Mercy Messengers. 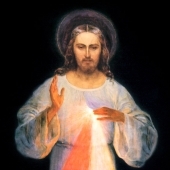 In our personal as well as our missionary lives we have encountered thousands upon thousands who have been incredibly transformed by Divine Mercy and we are convinced that it is the most important message and devotion for our times. The promises are unparalleled and the gift too great not to make known to one and all. In the 1930’s, Sister Maria Faustina Kowalska was chosen by God to be the Secretary and Apostle of His mercy. The Lord Jesus would appear to her and asked her to record all her experiences and everything He told her, “My daughter, be diligent in writing down every sentence I tell you concerning My mercy, because this is meant for a great number of souls who will profit from it” (Diary, 1142). For roughly four years Saint Faustina wrote as much as she was able. On no less than 18 occasions she recorded specific ways in which she was to pray for her native land and often of the graces that followed. With the aide of her spiritual director devotion to The Divine Mercy began to spread even before her death in October of 1938 and the miracles began. Since then millions upon millions have truly profited, yet many are still unaware of this valuable treasure and many of us fail to utilize the promises of Jesus to the fullest. 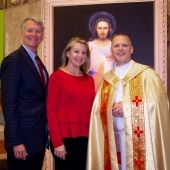 Divine Mercy for America is then both a prayer campaign and network of faith-filled Americans committed to radically increasing awareness of and devotion to Jesus, The Divine Mercy, as a sure means of providing great benefit to souls not only in our country but throughout the world. The Action Plan traces out the path to follow and detailed information and resources on this site are here to help everyone share with others. Please Join the Effort to be counted on the team and so that we can keep in contact with each other and share stories, ideas, and information. Encourage your family members and friends to do the same so that every state and every diocese is covered with the prayer. Together, with trust in God and His mercy, we can beat back the evil, support those working for good and worthy causes, and restore our families, our country, and our world. Dear Lord Jesus, have mercy on us and on the whole world. Pray the powerful Novena to The Divine Mercy! The complete prayers for each day of the novena are included. Share this to your Facebook page to help make it convenient for your family and friends to join in the novena.